It manages to turn each ordinary moment into a unique experience. Choose the credit card that suits your needs perfectly! 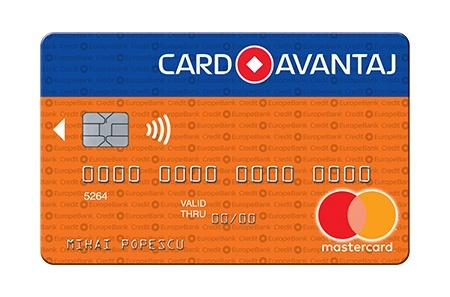 CardAvantaj issued under the Mastercard logo is the first credit card in lei with national and international usage, which offers the advantage of paying in installments without interest*, while receiving a bonus for each transaction performed. CardAvantaj Mastercard Gold is the credit card created for special, high-income customers who want to benefit from a special status. A jewelry gives grace and defines by style the one who wears it. An equally precious and distinguished card as a gem brings extra elegance, charm and functionality. 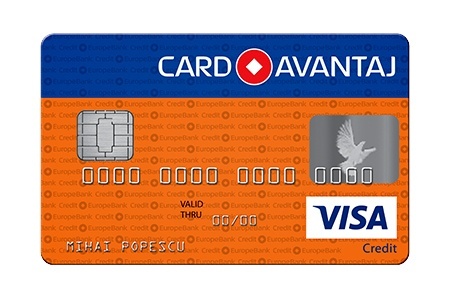 CardAvantaj issued under the Visa logo is the first credit card in lei with national and international usage, which offers the advantage of paying in installments without interest*, while receiving a bonus for each transaction performed. 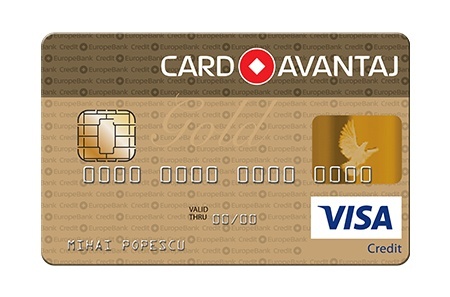 CardAvantaj Visa Gold is the credit card created for special, high-income customers who want to benefit from a special status. A jewelry gives grace and defines by style the wearer. An equally precious and distinguished card as a gem brings extra elegance, charm and functionality. Discover the complete list of CardAvantaj partner stores! Become a Credit Europe Bank Partner! There are over 300,000 CardAvantaj and Optimo Card owners who can become customers of your store. Do not hesitate, contact us now and become our partner. Periodic campaigns to extend the number of installments.